The following excerpt comes from a written report I was creating for a recent client. After I completed the paragraphs below, it felt important to share them with others, by way of this blog, for folks who may be overly influenced by Ketu. Also, if your rising sign or moon sign is Taurus, you may be experiencing a little of this until January 22nd, 2013. 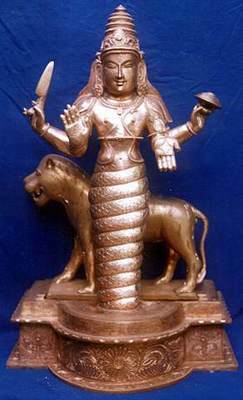 “Ketu on the lagna, makes one seek a high spiritual destiny. During the times mentioned above, would be an ideal time for more intensive meditation and Self-study. It can make a person adaptable and subject to change, and can also make a person sometimes inconsistent with their direction in life. It can make a person hypersensitive to others, and dissatisfied with life in general. When understood positively, it can help us to see that we are not the doer of our actions, and that only by acting appropriately in this life, and surrendering our attachments to the results of our actions do we ever find peace and success. Negatively it can make us cast aside the world, and try to find spirituality by renouncing life. “The other side of Ketu is Rahu. Where Ketu shows where we can become obsessed, Rahu shows where we can become compulsive. So it is often that the representation of these two nodes indicate our most challenging lessons to learn in this life. They are not easy to control, nor are they straightforward. They are shadow planets, and can often make us inebriated in regards to the areas of life they influence. In this way, it makes it hard to understand just what is going on. Rahu in the 7th house shows confusion around relationships. It can make us compulsive about relationships. It can make us always look for the next best thing in relationships, thereby we never settle down and work with what we have. 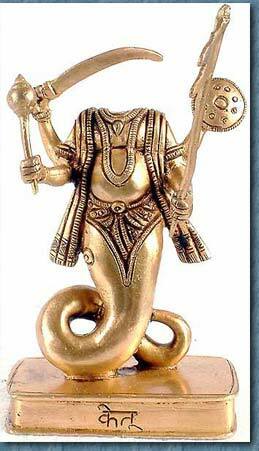 Rahu in the 7th, like Rahu in Libra, can attract to us toxic or confusing or partners with addiction problems. Positively, it can make us do well in non traditional relationships or with relationships to foreigners and foreign countries. Often though, Rahu in the 7th, causes us to be out of sync with our partners. So it takes extra patience and developed listening skills to have good relationships. Or we can make the most out of relationships, by choosing relationships that have plenty of space. My rahu Venus and mercury in 7th house in Lagna chart..wht will be the effect will it affect my marriage life! ?